Dispose of your trash without worry with this 15 gallon 8 micron 24" x 33" Lavex Janitorial high density can liner / trash bag! 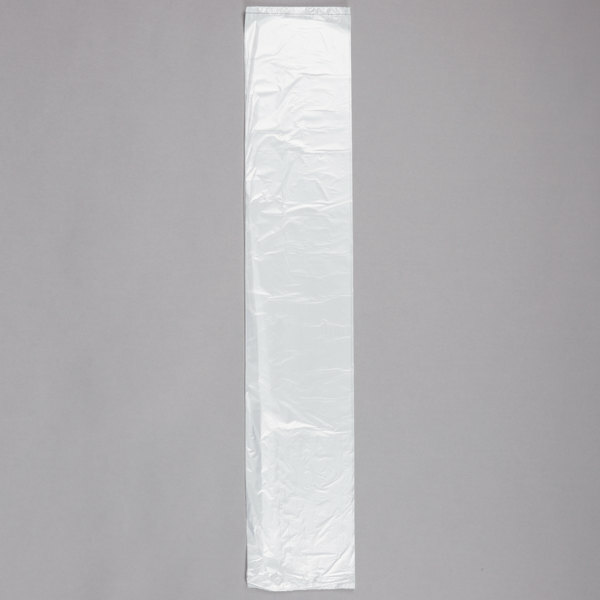 You can use this 24" x 33" can liner / trash bag in a variety of places like restrooms, offices, restaurants, hotels, amusement parks, or outdoor recreation centers! 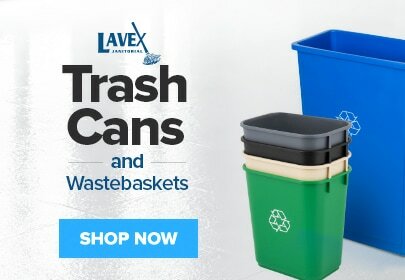 With a resilient and reliable construction, the Lavex Janitorial high density can liner / trash bag is up for all of your tough disposal challenges. "Strong, durable trash can for when you need a more visible alternative. Easy to use, doesn't rip. 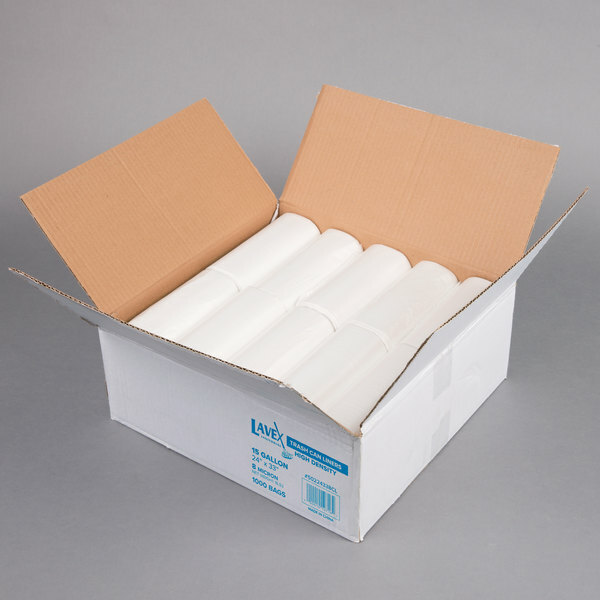 Easy to dispense and store and transport to many office areas thanks to the convenient rolls." Featuring a star seal at the bottom, this 15 gallon Lavex Janitorial can liner helps eliminate leaks, messes, and spills to make carrying the trash from the bin to the dumpster much easier. In addition, it prevents daily cleaning of trash cans because it keeps the bag's contents from making contact with the can's surface. Made from the basic raw material resin and in high density form, this can liner is a more economical alternative to a low density can liner / trash bag. It is also temperature-resistant from -40 to 212 degrees Fahrenheit. 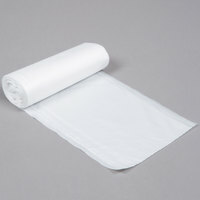 With a 8 micron thickness, this bag is perfect for disposal of paper and other lightweight materials. While this bag is not meant to collect sharp objects, its construction makes it more puncture-resistant. Unlike common black liners, this clear can liner allows you to easily view and identify the contents of the bag so that recyclables and trash always end up in the intended location. 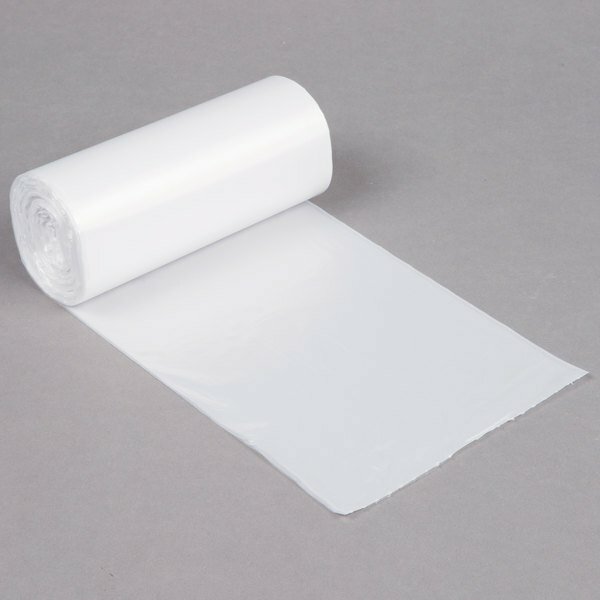 It is also able to easily be tied and carried for convenient and clean removal. Plus, thanks to the coreless roll, this product also helps reduce waste. What are the differences between high and low density trash bags? 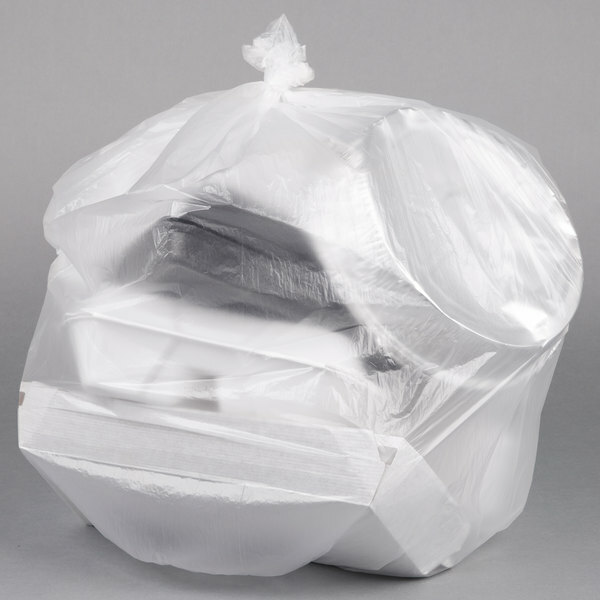 Low density trash bags are more heavy duty and are ideal for kitchen, outdoor, or janitorial applications. 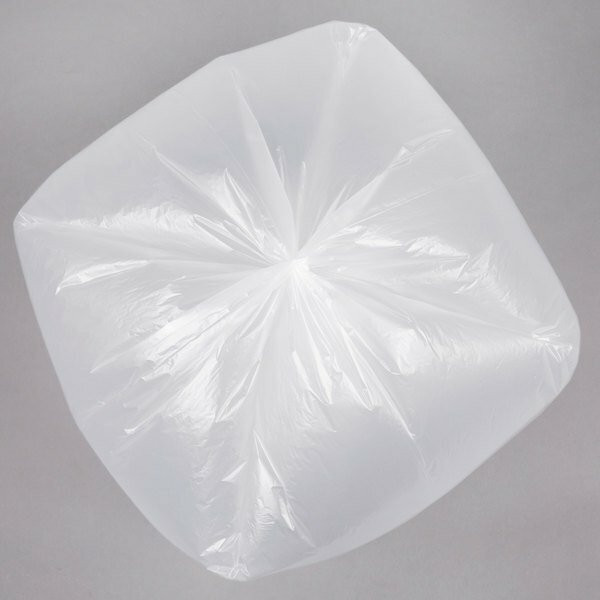 These bags provide stretch to resist any tearing that may occur from heavy or sharp objects. 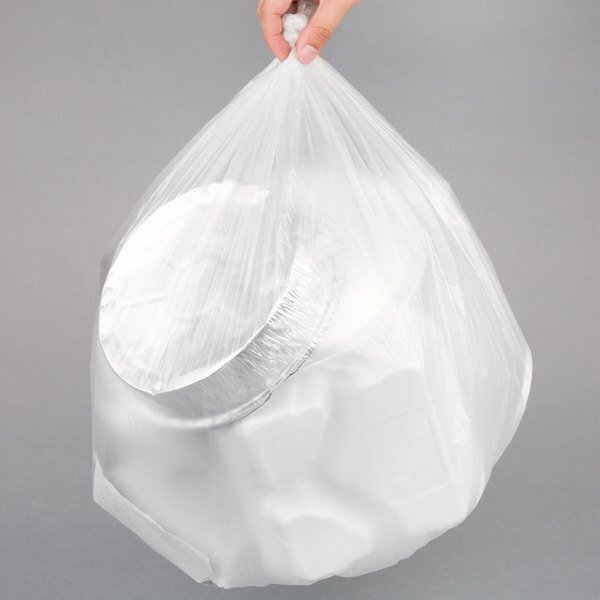 High density bags are great for areas like restrooms, offices, or other areas where trash tends to be more soft. Although less resilient than low density options, these lighter weight bags come at a very competitive price. Check out this Trash Can Liner guide for an excellent resource to help you make your final decision! How do I know what size liner fits my trash can? In order to determine the right size liner for your trash can, you must compare the dimensions of the bag to the dimensions of the can. Although liners and cans are both listed by the number of gallons they can hold, you cannot judge the sizing based on this capacity alone. Check out our Trash Can Liner Guide for detailed instructions on how to pick the right size liner for your trash can.